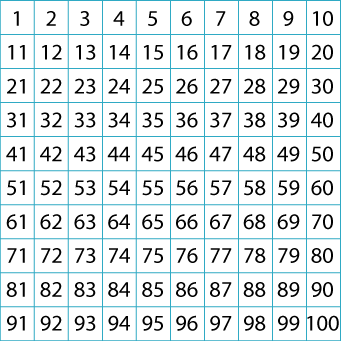 A hundred square has been printed on both sides of a piece of paper. One square is directly behind the other. What is on the back of $100$? $58$? $23$? $19$? Tangram. Visualising. Compound transformations. Practical Activity. 100 square. Interactivities. Cubes & cuboids. Working systematically. Games. Patterned numbers.